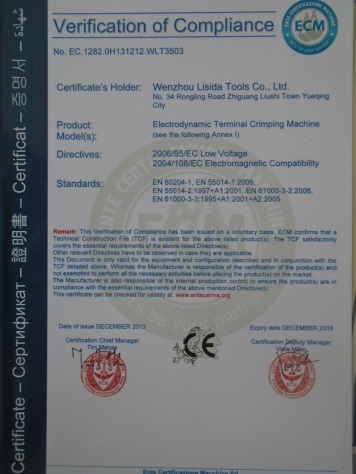 Company Overview - Wenzhou Lisida Tools Co., Ltd.
10YRSWenzhou Lisida Tools Co., Ltd.
LISIDA is a manufacturer which specialises in the development and production of high-quality wire stripper, crimping tools, cable cutters and many kinds of special tools and is Chinese leading manufacturer of these products. LISIDA pliers satisfy the highest expectations in terms of performance, ergonomics and service life. Our products are designed to meet the requirements of professional users, who must be able to rely on their tools in day-to-day work. Particular attention is paid to ergonomic criteria in the production of our pliers: above all in the form of effort-reducing constructions and a handle design which is ideally suited to the moving hand and ensures minimum fatigue and safe work. 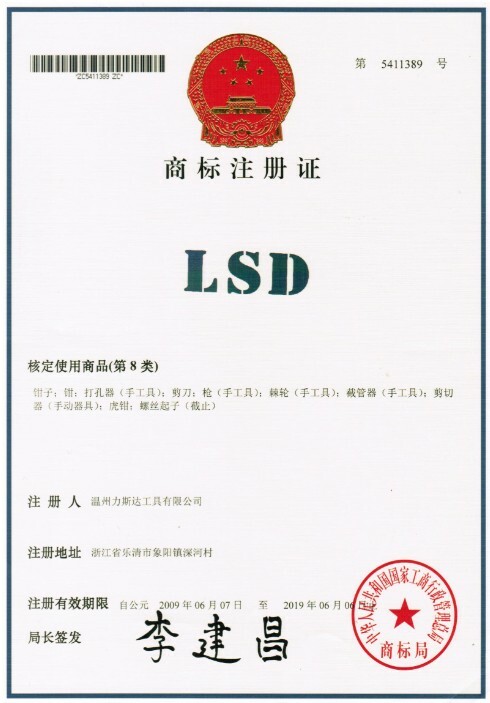 LISIDA understands that competitive price is a key element for success; at the same time, good quality always come first. In the tough wear and tear of everyday usage, LISIDA pliers meet the challenge to the fullest satisfaction. In terms of material and construction, they are designed to function as heavy duty tools and deliver the high load bearing capacity and long service life. Innovation, quality and reliability are the core values of our company. These principles today more than ever form the basis of our success as an internationally active mid-size company. We rely upon strategic thinking, constant modernisation in all segments, technological advances and of course upon our employees that directly participate in our success.